Colleges and universities in the SouthCoast region produce more than 15,000 graduates annually, providing businesses with a pool of highly skilled and ready workers. 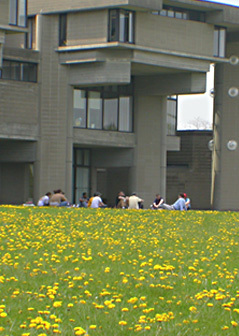 In addition to outstanding public and private schools, the SouthCoast is home to the University of Massachusetts Dartmouth www.umassd.edu which is home to the Commonwealth’s first public Law School and Bristol Community College www.bristol.mass.edu, both of which offer campuses in Fall River and New Bedford and other communities in Southeastern Massachusetts. UMass Dartmouth offers more than 70 fields of study and confers bachelor’s and advanced degrees. The main campus, its satellite campuses and cooperative sites serve nearly 10,000 undergraduate, graduate and continuing education students. UMass Dartmouth provides both a center of higher learning and a catalyst for economic development, as well as a culture and entertainment programming center. Bristol Community College makes access to college convenient for both traditional and non-traditional students. More than 100 programs of study lead to an associate’s degree or certificate in science, arts and in applied science. Like UMass Dartmouth, BCC produces well-qualified workers and adds millions to the local economy through its payroll and expenditures.